Easily mount this speaker with the KUNGFORS rail or rack to use it as a shelf, or hide it away on your bookshelf. Pair two for stereo separation, and use them as home cinema surrounds with Sonos Beam, Playbar, or Playbase. 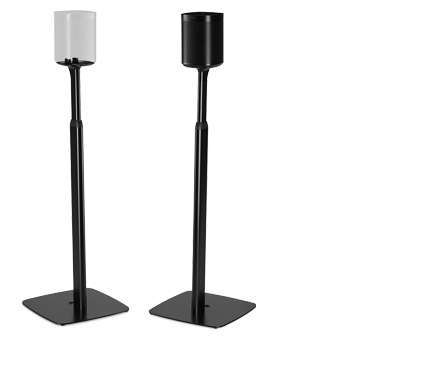 Enjoy powerful sound and light from this table lamp, which conceals a speaker with a sound profile similar to Sonos One. Pair two for stereo sound, and use them as home cinema surrounds with Sonos Beam, Playbar, or Playbase. 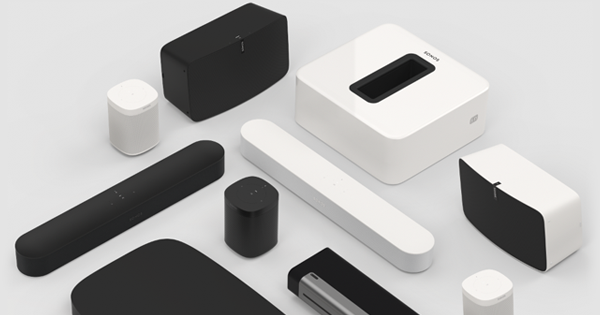 Easily connect SYMFONISK and all other Sonos speakers and components over WiFi to listen in every room of your home. Pair speakers in the same room for detailed stereo separation and connect your TV to enjoy immersive surround sound for all your entertainment. Enjoy music, podcasts, radio, audiobooks, TV, and more on Sonos. Stream from all your favourite services and easily control your sound system with the Sonos app, Apple Airplay 2, and your voice.